Former Australia and Queensland Centre Andrew Slack is most famous for leading the Wallabies on their 1984 Grand Slam tour of Europe which saw the stylish Wallabies record victories over England, Ireland, Scotland and Wales, out-scoring their opponents 100 points to 33 in the four Tests. Andrew Slack proved an inspiring and intelligent leader during the Wallabies’ 1984 ‘Grand Slam’ tour of Europe, the tourists recording successive victories over the Home Unions with a mixture of tactical acumen and sheer genius from the likes of Ella – who scored tries in every Test – and David Campese. He was also at the helm as Australia won the Bedisloe Cup with a 2-1 series win in New Zealand in 1986. In total, Andrew Slack captained Australia 19 times out of his 39 caps for the Wallabies between 1978 and 1987. He scored ten Test tries and played 133 times for his native team of Queensland. After retiring from the code, Andrew Slack became a rugby journalist and author before becoming the Queensland Reds assistant coach under John Connolly between 1993 and 1998. During this time, the Reds took out the Super 10 title in both 1994 and 1995. Appointed as a Wallaby selector in 2000, the following year Andrew Slack was part of the committee who were responsible for hiring Eddie Jones as Wallaby coach. From 2002-2005, Andrew Slack was head coach of Queensland, after standing down from his Wallaby position to concentrate on his new coaching duties. 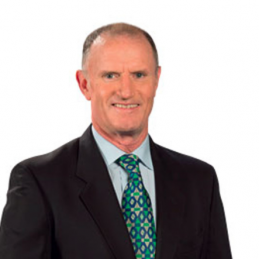 Since his retirement from coaching duties, Andrew Slack has worked on his media profile and now concentrates on writing for the Sunday Mail in Queensland, where he gives his opinions’ as one of the game’s premier commentators.